White sugar, also known as cane sugar, refined sugar or table sugar, is a white crystalline substance, and very sweet to eat. But , if one is heard of the diseases that it causes and the resulting harmful effects, one will certainly run away from using it. Here are the diseases mainly caused by the sugar. Always remember, life will not be that much sweet if sweet is not taken care of with sweetness. Just imagine! What will a man do if his pockets are empty? He should either withdraw money from his bank account or go for hand loan. In a similar fashion for digestion of sugar and starches in the body, it is necessary to have vitamin B. But, the sugar is short of vitamin B. Hence for assimilation and use of sugar by the body, the B-vitamins are taken from the nerves, liver, kidneys, eyes, blood, etc., these organs becomes deficient in B vitamins. As more sugar is taken, more B vitamins are used up, which lead to nervous irritability, digestive disorders, poor eye sight, anemia, heart trouble, etc. Excessive intake of sugar will definitely cause cardiac arrest. The B vitamin deficiency causes degeneration of muscles of the heart and leads to extra vascular fluid collections and thus finally results in terminal cardiac arrest. Due to excessive consumption of sugar, the sugar particles get stuck in teeth and encourage bacterial growth which produces an acid that attacks the enamel of the teeth. 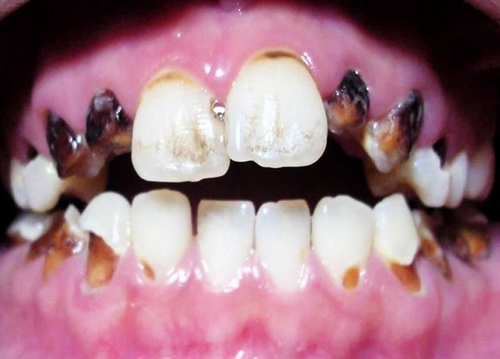 Inflammation of the gums – Pyorrhea is caused mainly because of excessive intake of sugar. Excessive consumption of sugar leads to imbalance of Calcium /Phosphorous ratio in the blood. As this ratio is disturbed, calcium is not fully absorbed by the body the ratio of 2.5 to 1 is the ideal one. If calcium is more than 2.5 times than phosphorous, then extra calcium will not be absorbed by the body and it will be excreted in the urine. But when eaten with sugar, the calcium will not be absorbed efficiently. 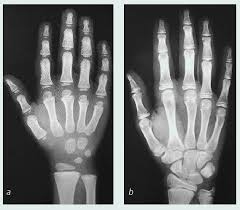 Hence, calcium of sweetened milk is never absorbed properly and leads to calcium deficiency and a disease known by the name ‘Rickets’. People think that sugar gives energy and eat more and more which is not correct. The vitamin B deficiency will not allow the completion of carbohydrate metabolism and energy fails to be released, and as a result one experiences fatigue. High sugar is often followed by a sugar low because of immediate release of Insulin, which means sudden rise in blood sugar. This result is called Hypoglycemia, the symptoms of which are fatigue, dizziness, depression, tiredness, and irritability. 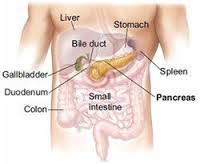 If sugar is taken orally, it will reach intestine which is its place meant for digestion. It will be in stomach of course not for a long time. But, when it is taken with other food like protein and starch, it will be in stomach along with other food stuff, till the latter is digested and at the same time undergoes fermentation. The fermentation of sugar leads to acidity, gas, indigestion. Fiber food is very much essential to have a healthy digestive system. Every Adult should necessarily consume at least 23 g. of fiber in their food. Nowaday people are realizing its usefulness in reducing the weight of the body. Its main use is found in regulating the bowl movement of the body. As the sugar does not contain any fiber, it does not contribute for any bowl movement and increases the constipation. Server responsed at: 04/19/2019 5:04 a.m.